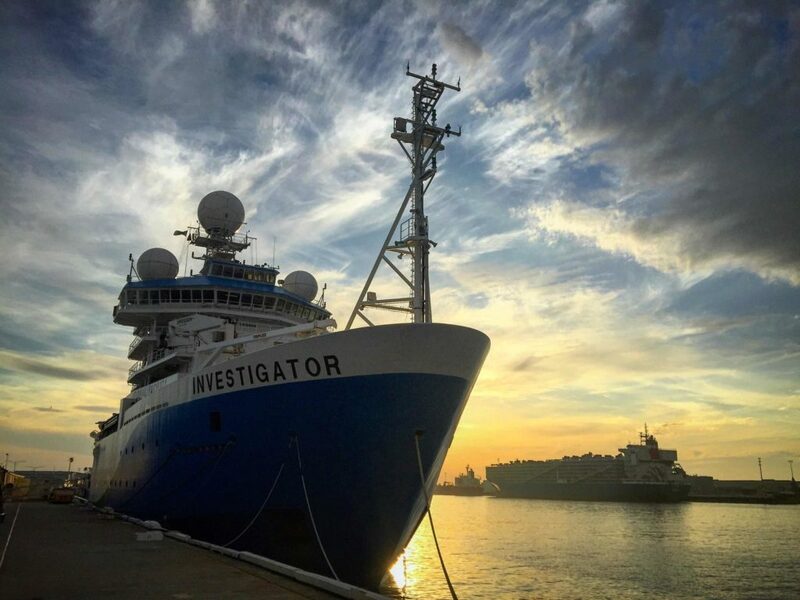 Everyone loves a gorgeous sunset, and this is Investigator at it’s best, on its final night in Fremantle before it departed for Heard and McDonald Islands, which was snapped by Pete Harmsen with his phone. The 60 crew, support staff and scientists all had to be on board by 10:00pm on Thursday 7 January in preparation for the Investigator’s departure on Friday 8 January. The ship had become a melting pot of people trying to remember last minute things, meetings, introductions, excitement and a few nerves. The ship will take about a week to cross the Southern Ocean and arrive at Heard and McDonald Islands. Why did it turn back to the harbour entrance after departing Fremantle, only to depart again a short time later?? Unfortunately we won’t know until we can ask the captain when they get back from this voyage. Sorry!